A retired RCMP officer is commending the way Toronto police officers handled the suspect in a deadly van attack on Monday. Ten people died and 14 others were injured when the driver of a van mounted his vehicle on a sidewalk along a stretch of one of Toronto's busiest streets — striking several pedestrians. The driver fled and was arrested after a brief confrontation with police. Dramatic footage of the arrest shows the man yelling "shoot me", as an armed officer approaches him and commands him to "get down." The officer manages to subdue him and handcuff the suspect. The suspect has been identified as Alek Minassian, a 25-year-old from Richmond Hill, Ont. 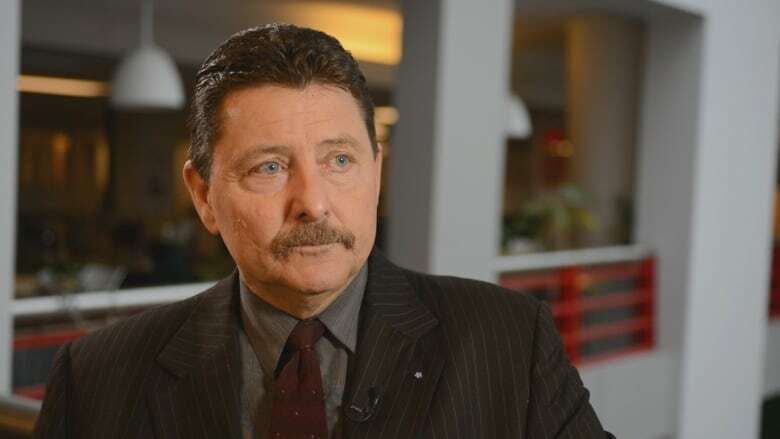 Garry Clement, a former RCMP superintendent and the current CEO of the Clement Advisory Group, spoke with As It Happens host Carol Off about how police responded to the deadly attack. What was your initial reaction to the reports of this van attack in north Toronto? Probably like most Canadians — shock, extreme disappointment. It's a type of thing that we hope we're immune from, but I've said for a long time Canada was not immune. You've seen the videos. There's social media videos of the arrest, of the actual man in the van that is suspected of doing the attack. Can you just describe what you can see in those videos? The police, I think, did a commendable job of getting him to get down so that they could take control of him. Other than almost surrendering when he was forced to, it appeared almost [like] a sense of calm on the part of the individual, which does not give the indication of somebody being unbalanced. The way that it was handled by the police officers, they deserve to be commended because they demonstrated a lot of restraint. All the victims and families are going to go through terrible turmoil, but at least now ... they have enough information to ascertain if this is, you know, a lone wolf or if he's involved in something else. And that's essential. Yeah, and I kind of sense from the conversation in the way that happened, the officer did a great job of reading the individual's body language. Written by Sheena Goodyear with files from CBC News. Interview produced by Imogen Birchard.